Today’s verse is controversial because the related verse causes God’s words to be questioned, but when you explore the verses fully, it makes sense. So this is just after Man (Adam) is created and God tells him that all the garden belongs to him EXCEPT the Tree of Knowledge of good and evil. If he eats of this tree, he will surely die. Eve, followed by Adam is tricked into eating from the tree by Satan disguised as a serpent in Genesis 3:4. He tells her that she will not surely die, and on the outside it seems as though he was correct. But …. …. when God had originally installed Adam and Eve into the Garden of Eden, they were immortal and would live forever, along with their offspring. 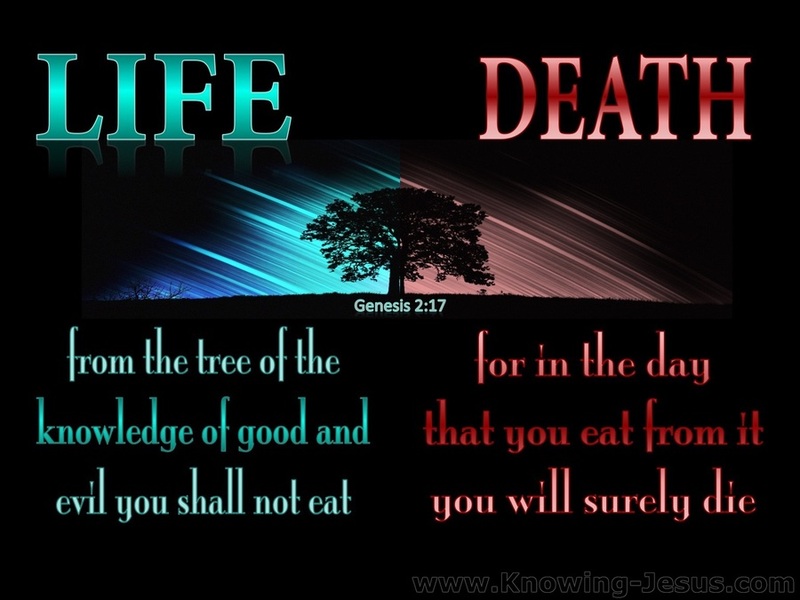 When they disobeyed God, they lost that immortality, and therefore from that moment on, their death was inevitable. When God says something, He means it.